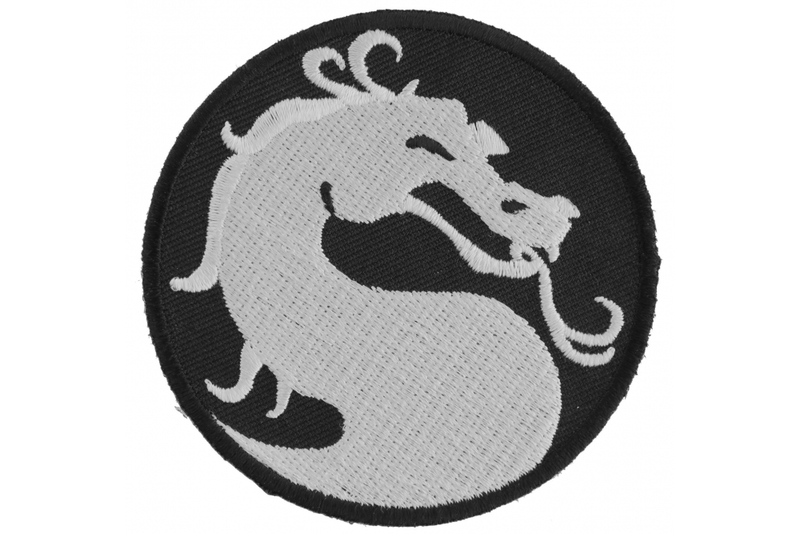 Dragon Patch, like in the arcade game mortal kombat Embroidered iron on for easy application Measuring Size: 3x3 inches. A simple classic Dragon design in white embroidered over a black round patch. 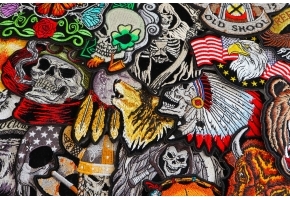 Sew it to your leather, iron it on to your cap. 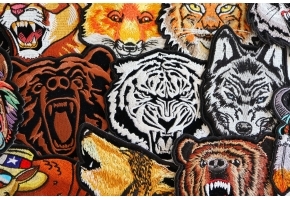 Many uses for patches include covering up holes and tears as well.